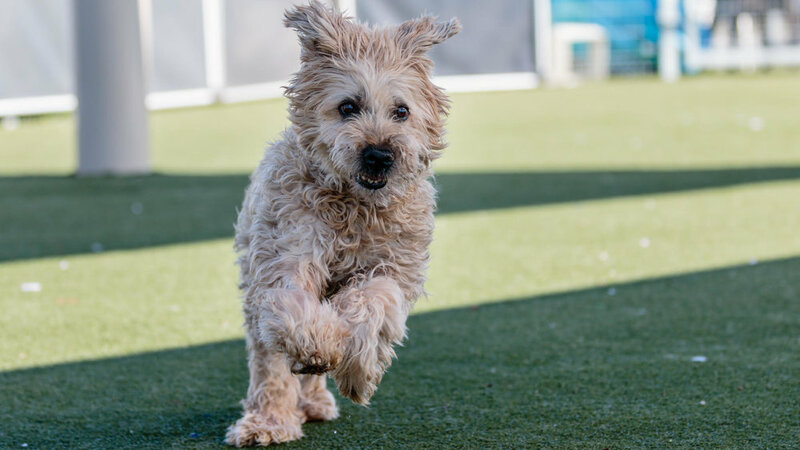 Mabel is a sweet, mild-natured, but playful AKC Registered Wheaton Terrier. 9 years young with plenty of pep left in her step. She will thrive in a committed, loving home with the time to devote to companionship. She LOVES walks and playdates with well-matched dogs. Good with all people, kids, most likely ok with cats given slow/proper intros. She does have cataracts, and some senior joint stiffness that would benefit with supplements and a healthy diet. 33 lbs, House-trained, fine being left alone during errands and work. $250 adoption donation: spayed, vetted, vaccinated, has received dental work, microchipped, utd on monthly preventatives and ready to be yours!